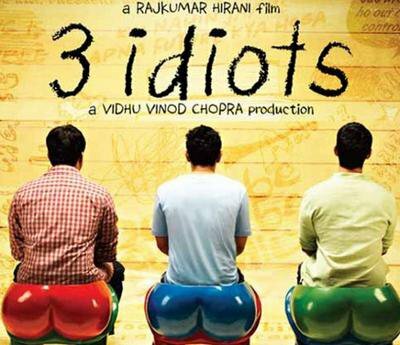 Last night I watched an Indian movie titled 3 Idiots and I gotta say thank God for Indian films. My friends Doyin Akinwunmiju & Kingsley Iweka convinced me to go watch it & I finally did so thank you guyz, thank you so much. On occasion when I read a very good book or watch a very interesting movie or hear a very lovely song, I’m moved to tears. 3 Idiots was a very interesting movie & the title of this note waz a recurring theme in the movie propagated by the main character. He taught his friendz to say *insert Indian accent* Aal Izz Well whenever their hearts were troubled. As you can see, it is also the inspiration for this note. I have a tendency to go off at a tangent when I’m moved so after watching the movie, I laid me down to sleep, jammed my ear phones in my ear and started playing songs from my playlist Slow then started thinking about all the things that are wrong in the world and in my life. Slow is made up of such songs as Joe’s Better Days, Brooke Fraser’s Shadowfeet, Mary J. Blige’s Each Tear, Obiwon’s Great Again, Da Truth’s How Long, Rascal Flatts’ My Wish & Stand, Jewel’s Ten, Satisfied & What You Are, Tim McGraw’s Live Like You Were Dying & Grown Men Don’t Cry, LeAnn Womack’s I Hope You Dance, TY Bello’s The Future, Eldee’s One Day, Keisha White’s Out Of My Hands & I Choose Life, Rooftop MCs’ Sitting On The Rooftop, Laura Izibor’s Mmm & Don’t Stay, Jasmine Sullivan’s Bust Your Windows, Michelle Pfeiffer’s When You Believe, Lighthouse’s Family’s I Wish I How It Would Feel To Be Free, Coolio’s See You When You Get There, Sara Groves’ Something Changed, Labrinth’s Sunshine, Seal’s Love Divine, MI’s Imperfect Me amongst others. The reason I took the time to list some of them is because I know Tamara would be interested in getting the ones she hasn’t heard before but mostly because for the hour and something minutes I listened to these songs, I wept… and wept… and wept. My head was so full, I felt my brain would bust and my mind was so worried, I was afraid I’d start sprouting instant grey hair. So I decided to write, put it down on paper. 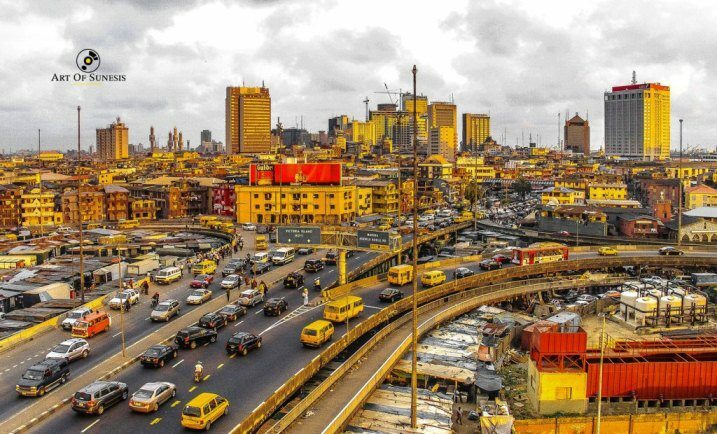 I even started considering what Iyke M’ebo, my ‘soul mate’ once asked me to do – start a blog. I pondered on a whole lot of issues as I am prone to do when I start weeping and I even gave myself a nice headache. I have a lot of friends on facebook whom I have never met in person but who have touched my heart with wonderful words and photos that made me smile, really smile (Proverbs 25:11). So you can imagine how torn I am when it seems like I have to referee between friends whom I know are good peoples but who do not see eye to eye on issues. It is an odd place to be I tell you especially in this election and campaign season. I have chosen to stand with the Buhari-Bakare team because I know and truly believe that this is the salvation we have prayed for all these years (and I have been very loud and vocal about it). I even had to read the riot act to Chioma Iteogu letting her know that her comments were not welcome (I’m sorry dear Chioma, you have a right to your opinion even if I think it is warped, lol). In the classic movie The American President, President Andy says something about having free speech – if you want free speech, you have to acknowledge a man whose words make your blood boil, who’s standing center stage and advocating at the top of his lungs, that which you would spend a lifetime opposing at the top of yours. It means we all have a right to say how we feel without shutting each other up. I get angry whenever someone tells me that they believe Goodluck Jonathan will bring change to Nigeria. It’s an anger that weakens my bones. I pray for them to see the light because the truth is he will not do anything except follow the path of his predecessors and ‘mentors’. I have not the words to convince them otherwise especially when they are so passionate about it so I have to let them be. But in spite of this, I know and believe that Nigeria will be restored to her intended glory. I wish I could get all the underage hawkers off the streets. I wish I had the power to provide jobs for the disabled and unemployed and I wish the exchange rate of the Dollar against the Naira would come down to N1. These men – Buhari & Bakare have gone a step further and are doing something more than wishing. Why on earth wont you give Change a chance? Are you so used to the mundane way of living that the chance of a better life is alien to you? Anyhooo, I also had a pity party. Why wasn’t I born into a mouth-wateringly rich family so that I didn’t have to worry about electricity bills, groceries and paying the plumber so much money to fix my broken down toilet? Why am I still struggling to get my first degree? Why am I so fat? I want to shed some weight but laziness will not let go of my bones, lol. Now that John has taken away my sister, are we still going to be as close as we were? Why do I feel that some of my friends just use me? Why am I not living abroad away from all this Naija wahala? Then I realize that I have nowhere else to run to and nowhere else to go cos Nigeria is my home, my country. There is no reprieve in another man’s land. Then I realize that I am creating most of my problems. Worrying about stuff that will never happen! I remember a story Adams told me about the spirit of death visiting a particular village because he wanted to take 50 souls. But first, he had to get permission from the priest of the village. After much bargaining, they agreed on 10 souls instead. By the end of the week, when the spirit of death was leaving, he left with 110 souls. The priest was angry, asking why he reneged on their bargain. The spirit of death said to him, ‘I took the 10 souls we agreed on, the other 100 died from worry and fear when they heard that I was coming into town’. After much contemplation, I decided that this was not healthy at all. After all, I don’t want to report to work with red scleras and bags under my eyes. Then I started thanking God for all He had done, the good things of life He had provided; friends who make you laugh and give you gifts, family members home and away, health (all my limbs are intact and I have been admitted in the hospital just once in my entire life and it wasn’t when I had serious asthma attacks! ), my sister is married to a man who will take care of her, I have a job and I also thanked Him for internet access! Thank God for giving Mark the good sense to create facebook, lol. Tonight, I thanked Him for giving men (and women) the initiative to make movies like 3 Idiots, The American President, Air Force One, Armageddon, Bad Boys, Rush Hour, My Little Pony, The Sound of Music, Taken, Exam etc etc… I thank Him for Music, the food of love. He gives us ways to relax and chill, to let go of our problems and laugh every once in a while. Like Vera said, Thank God for God. As I drop my pen, oh sorry, as I shutdown my laptop and go back to bed, I pat my left breast beneath which lies my poor overloaded heart pumping blood laden with the worry bacteria to all other parts of my body. And I say to it, ‘be still my darling because aal izz well’. My siblings, friends & loved ones are protected by the omnipresent God. Nigeria will indeed be great again. And I will be done with school at the appointed time. Aal izz well my dear friendz, aal izz well. Ok, i know i have read this particular write up severally, maybe 7 or more times but when i saw it here again i couldn’t resist reading it again (i guess its actually one of my favourite so far). You are such a talent and i am glad you took this bold step at last. I am still learning how not to overplay my worries. Thank you for this Adebayo. Learning that worry is a sinful challenge of God’s committed care to us and staying thankful for mercies unimaginable….some we may never be privy to. Thanks for posting this here Pearl! You see, I kept my promise…i’m here now. Remember me? I am combing through the cobwebs in my brain and coming up short… Forgive me. Care to refresh my poor memory, please?